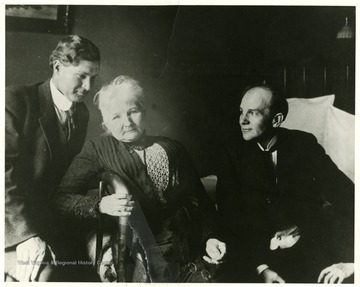 Mother Jones (center), with John R. Lawson (left) and Horace Hawkins (right). 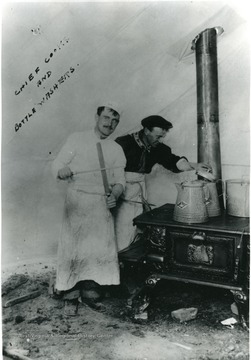 Two men cook on a stove in a tent. 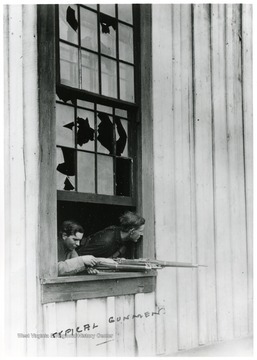 Two 'typical gunmen' looking out a window with their guns. 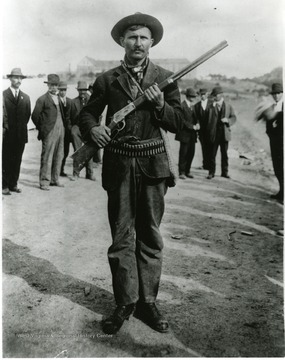 A union man standing with his rifle and ammunition. Other men standing behind him. 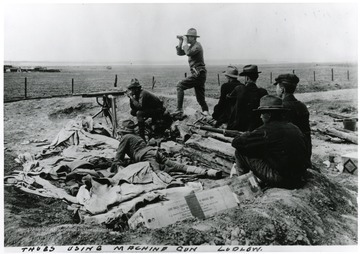 Men using a machine gun and sitting in surrounding area with guns. 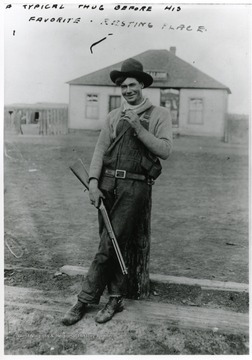 A man standing with his gun leaning against a post, Saloon in the background. 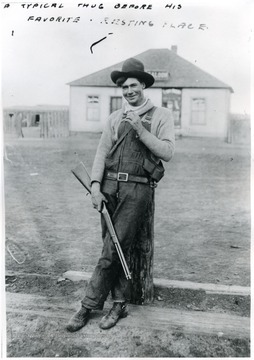 A man with a gun leaning against a post, saloon in background. 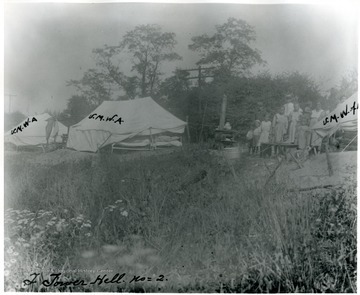 Three UMWA tents with people standing beside one. 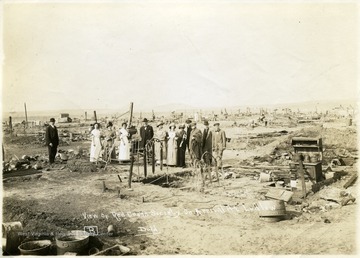 Red Cross workers amid the debris of Ludlow. 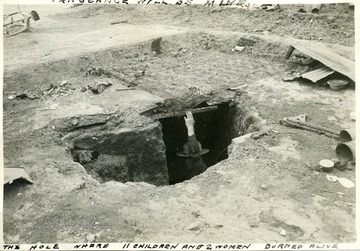 Man standing in a hole in the ground where eleven children and 2 women burned alive during the Ludlow Strike. 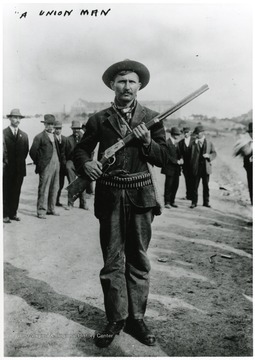 A Union man with with gun and ammunition. A Union man with gun and ammunition.